As of this meeting, 12 of the 19 team houses had passed their foundation inspections, with the University of Tennessee and Team China (Tongji University) leading in the number of building inspections passed. Unfortunately, only part of Team Massachusetts’ house has arrived. The team members expect the rest of the house to arrive tomorrow. The truck carrying the foundation footings for Florida International University finally arrived, and the team was busy today setting the foundations. Michele Markovits, project engineer for Florida International, couldn’t say enough good things about neighboring teams, whose generosity included Parsons NS Stevens, who helped by buying gas for their generator; Tennessee, who helped charge a battery and accepted safety glasses in return; and Appalachian State, whose loan of surveying equipment helped the team set its foundation footings. 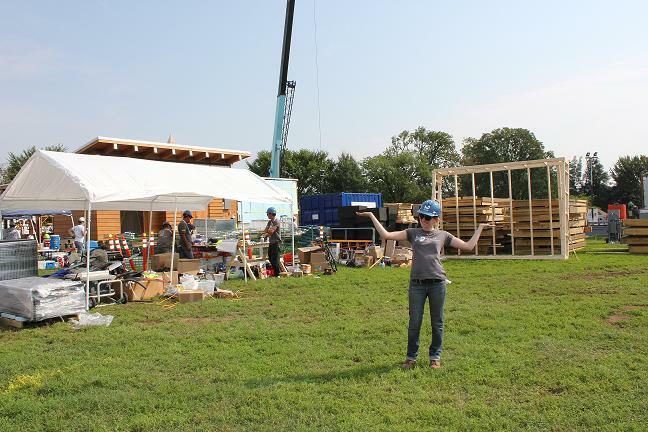 Carol Anna is the communications manager of the U.S. Department of Energy Solar Decathlon. 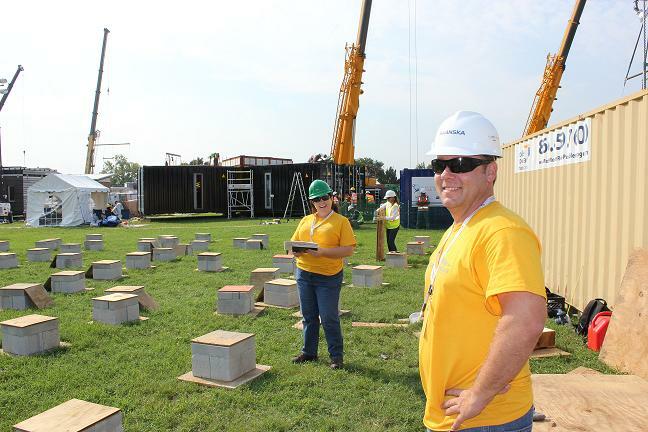 This entry was posted on Thursday, September 15th, 2011 at 9:02 pm and is filed under Canada, Florida Int'l, New Zealand, Parsons NS Stevens, Solar Decathlon, Solar Decathlon 2011, Team China, Team Massachusetts, Teams, Tennessee, Tidewater Virginia.